This whip is a must for any serious collector - the genuine Indiana Jones style bullwhip, made by David Morgan! 12ft/12plait thong, going downto 6plait at the fall connection. This is the design developed for the Indiana Jones movies, made by the original whipmaker. 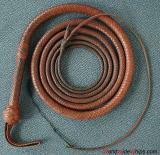 Although the standard size was 8ft, also 12ft whips were used e.g. for the wrap scenes. 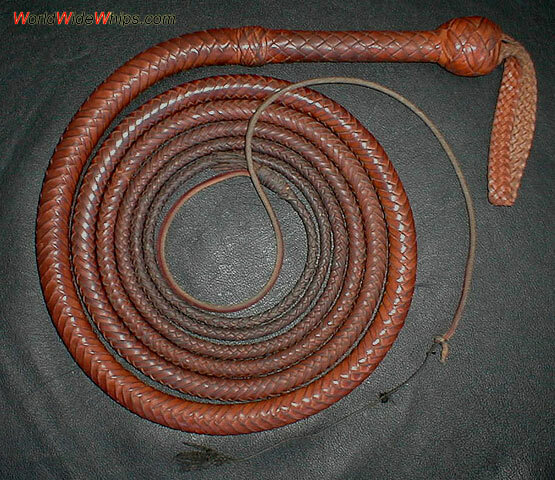 Thanks to "Indy" Breineder for this beautiful whip!